The Barcelona Graduate School of Economics (otherwise, Barcelona GSE) is able to offer tuition waivers and fully-funded scholarships for international students to study in Spain. The Barcelona GSE sponsorships and financial aid will be offered based on academic merit. These highly competitive financial awards help the School attract the best and brightest international students. Eligible candidates from any country of the world who are suitably qualified are invited to apply for the 2018-2019 tuition waivers and fully-funded scholarships available at the Barcelona Graduate School of Economics by completing a graduate course program application. This scholarship is open for students and young professionals from around the world. Financial aid will only be awarded to candidates that have an outstanding academic record. All candidates will automatically be considered for any available financial aid when they submit a completed application for a master program. Preference in financial aid will be given to candidates who submit their applications before January 15. Scholarships are offered based on academic merit. 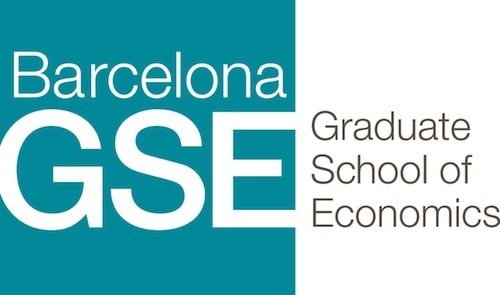 Barcelona GSE graduate students earn one of three official master's degrees: Economics and Finance, Specialized Economic Analysis, or Data Science. The degree awarded depends on the specific program of study. In your application, you will have the option to list three programs of study in order of your preference. The Barcelona GSE admissions team is available to help you decide which program is right for you. There is no separate application process for scholarships. When you submit a complete master program application, you will be automatically considered for all available financial awards. Applicants are reminded that only complete applications will be considered. The selection process for all scholarships is handled entirely by the Admissions Committee of the Barcelona GSE. Before applying, please read carefully all of the instructions for completing the online application. Applicants who wish to be considered for financial aid are advised to apply as early as possible. 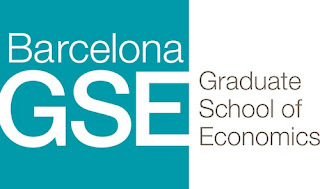 The Barcelona Graduate School of Economics, commonly referred to as Barcelona GSE, is an independent institution of research and graduate education located in Barcelona, Spain. The School offers a variety of Master's degrees in Economics, Finance, and Data Science. It has been ranked by RePEc among the top Economics Departments in the world -- top 18 Economic Research Institutions, top 12 Economics Departments in the world and the top 3 in Europe.